Rehearsals are held in Sir Roger Manwood’s School hall or music room on Thursdays, during term time from 7.30 to 9.30pm. If you do have to miss one please let the chairman or secretary know. Click here for a full diary. 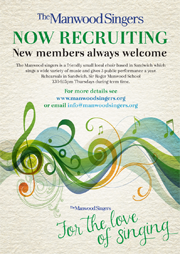 We are always happy to welcome new recruits; just get in touch with us by emailing info@manwoodsingers.org or through the contacts page. The Manwood Singers is an amateur choir of 50 or so singers, founded in 1992. We sing a wide variety of music to suit all tastes and give a number of public performances each year, sometimes with other choirs. We are a friendly lot, often meeting in the pub after rehearsals for a drink and a chat and also holding various social events throughout the year. New members are always welcome. We don’t ask you to be able to read music and we don’t audition. 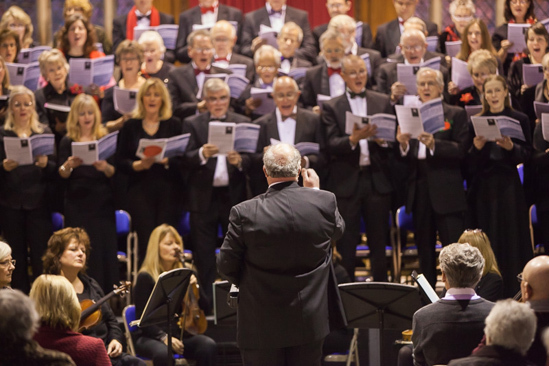 You do need to be able to sing tunefully and you will be expected to attend rehearsals regularly so that the choir can continue to develop excellence in its singing.